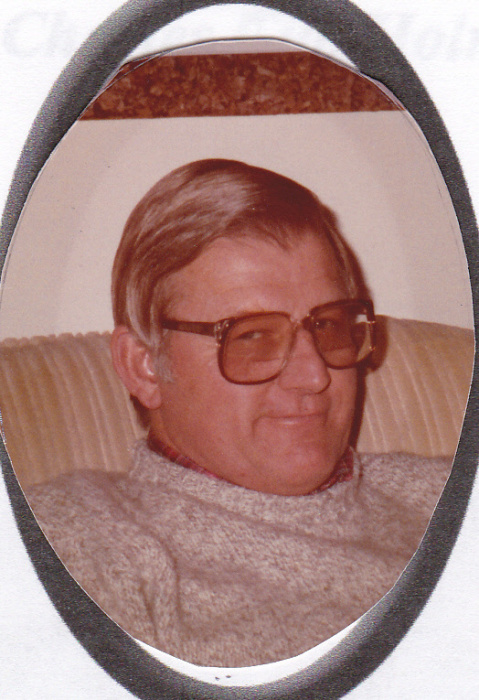 CHARLES PETER “CUB” HOLM, age 86, of Luverne, died Monday, April 16, 2018, at the Minnesota Veterans Home in Luverne. Cub was born September 15, 1931, in Grove City Minnesota, to Chester and Lydia (Maddison) Holm. Cub graduated from Grove City High School and later received his Mortuary Science Degree from the University of Minnesota. He served in the United States Army Quartermaster Corps in Europe from 1954 to 1956. Cub married Joyce Thulin on June 26, 1954 at the First Lutheran Church in Grove City. After Cub returned from the army, he and Joyce moved to Luverne where he worked with his father at Holm Funeral Home, while also working at Smith Furniture. Cub purchased the funeral home in 1969 after Chet died. After Cub sold the funeral home in 1992, he retired as a funeral director, and he and Joyce moved to Spicer, and then later to Tucson. Cub returned to Luverne and entered the Veterans Home in 2014. He was a member of the United Methodist Church in Luverne, was a member of the Masonic Lodge No. 114, Luverne, and was a Shriner. He was a loving and caring husband, father and grandfather. Cub had strong mechanical skills that he picked up in his youth while working at the Holm Brothers Hardware Store in Grove City. Whether at home or while traveling, he always found the shop where the guys assembled at coffee hour, where he would pull up a chair and take up the discussion of the day. He was never shy. Cub is survived by his wife, Joyce, of Luverne; three daughters, Jodyne Holm, Seattle, WA; Jill (Jim) Holmes, Cedar Rapids, IA; and Jennifer (Tom) Hey, Marshall; six grandchildren, Carina Miller, Charlie Miller (Melissa), Tom Holmes (Leah), Peter Holmes, Sami Hey, and Sydney Hey; and three great-grandchildren, Mackenzie, Mason and Madeline Miller. He was preceded in death by his parents; and two sisters, Dorothy Martin and Joan Service. A time of fellowship will be from 4-6 pm Thursday at the Dingmann Funeral Home in Luverne and also one hour prior to the service at the funeral home on Friday. Memorial service will be 2 pm Friday at the Dingmann Funeral Home, in Luverne, officiated by Pastor Dorie Hall. Burial of cremains with full military honors provided by the Luverne American Legion & VFW will be in the Maplewood Cemetery in Luverne.